Minibeasts are always a popular topic in all Early Years settings. 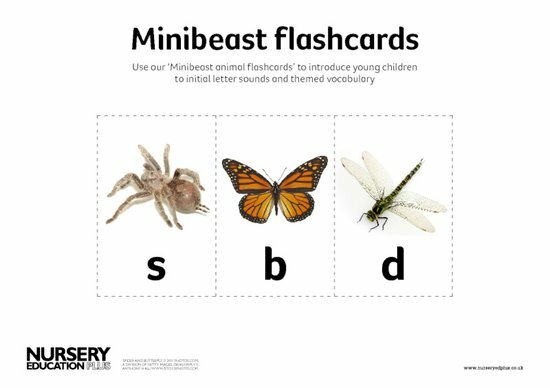 Why not use these fantastic ‘Minibeast flashcards’ to introduce young children to the topic. They’re a perfect way to cover initial letter sounds alongside themed vocabulary.